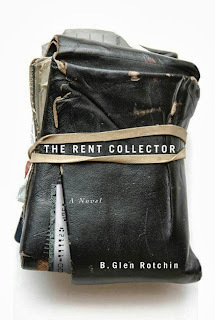 Glen Dresser can be proud of his debut novel. 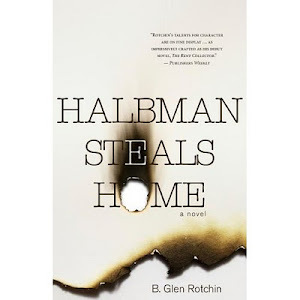 It's a solid work of fiction, written in a prose style that is as understated as it as rich, much like the rural prairie landscape it describes so well. It took me a bit by surprise. I'm not typically a fan of prairie fiction and don't seek it out (I think the last novel I read set on the prairies was Who Has Seen The Wind.) But I was almost instantly drawn in by Dresser's surehanded, thoughtful, if somewhat unspectacular style. I'm using unspectacular, in this instance, as a compliment, mind you. I've become somewhat tired of the overblown "original" "inventive" new fiction trumpeted by publishers, in other words, books that seem to be getting all the attention. Give me authentic characters, a well-drawn, evocative setting and a believable storyline any day. In Correction Road the setting is the late 70s in a sleepy town on the Alberta/Saskatchewan border. There are three main characters: Hugh an exterminator for the Alberta Rat Patrol (did you know that Alberta had an agency which kept the province rat free for decades?) his girlfriend Joan who works at the local liquor store and Walt, a taxidermist who runs a museum of stuffed animals and various oddities. Each is floating aimlessly through his/her respective life, like clouds in a prairie sky that sometimes float into each other's airspace, or not. On the surface their relationships are leisurely and non-committal, and if that was all Dresser gave us, this would be one deathly boring novel. But he's smart and adept enough as a writer to convey the unspoken story below the surface, where simmering human (and nature's) drama really takes place. The reader's question for most of the novel is, when will all the subsumed tension bubble up to the surface (like an infestation of rats) and how will it play out? Which brings me to the other main character in the book, a tricky, omniscient rat (half-instinctive, half- intelligent) living within the walls of Walt's museum, and confounding Hugh's attempts to find and catch him. I know it sounds hokey, but the rat tells part of the story from his subterranean point of view, and it's a tribute to Dresser's imagination and skill that he pulls it off so well. Dresser does make some of the mistakes of most debut novelists, overwriting, overreaching and trying to show how much he knows when he should be focused on keeping the story rolling - the big themes are all here, the eternal conflict between man and nature, artificial versus natural boundaries, there are even healthy doses of Canadian politics (as a backdrop, Quebec separatists are preparing for the 1980 referendum.) Often, flaws of overwriting slip in to debut novels due to a lack editorial guidance typical of small independent publishers, in this case Ottawa's Oberon. But this novel suffers less than most, because Dresser is such a thoughtful, engaging and competent writer. Correction Road is a worthy addition to prairie fiction. 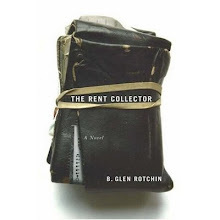 Poet, book-reviewer, author of the novels The Rent Collector and Halbman Steals Home and full-time property manager in the garment district of Montreal, Glen shares his thoughts about life lived at the intersection of the material and spiritual world. And of course, books.